Authorities continue to search for missing Jessica Heeringa in Norton Shores, MI and a silver SUV that was caught on surveillance video. 25 year old Jessica Heeringa, 25, went missing Friday night around 11:15 p.m. at the ExxonMobil station. Her purse and car were left behind; however, Jessica Heeringa vanished without a trace. As reported at MLive, a video clip taken from the Old Homestead Tavern, 4814 Grand Haven Road, picks up a glimpse of a van traveling northbound on Grand Haven Road, away from the Exxon Mobil station in Norton Shores where police say Jessica Heeringa was abducted. 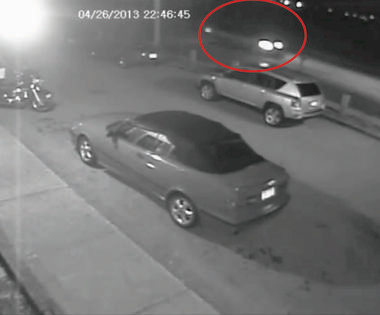 Authorities in Michigan released a surveillance video they say shows a silver SUV that may be connected to a missing mother who worked the late-night shift at an ExxonMobile gas station. Jessica Heeringa, 25, disappeared Friday night around 11:15 p.m. at the ExxonMobil station where she worked in Norton Shores, near Muskegon. Her purse and car were left behind, and police were notified after a customer called 911 and said no employees were at the station, Fox 17 reports. There were no security cameras operating at the time of her disappearance, Norton Shores police say, and authorities are investigating the case as an abduction. Police investigating the disappearance of Jessica Heeringa release a sketch of the man they are looking for. Police investigating the disappearance of Jessica Heeringa have now released a sketch of the man they are looking for, while an eyewitness tells ABC News that another man who approached the gas station attendant the night she vanished was “being real flirty” with her. An employee at a store adjacent to the gas station saw the 25-year-old mother there only hours before she vanished last Friday night. The witness watched a man in a silver minivan approach Heeringa when she was at a gas pump. “He was just like, ‘Hey, what are you doing over here? Aren’t you supposed to be inside?’ Just kind of being real flirty, weird about it,” the witness told ABC News. 25 year old Jessica Heeringa has been missing since Friday night, April 26, 2013 in Norton Shores, MI. Jessica Heeringa was scheduled to work the late shift at the Exxon Mobil gas station on 1196 E. Sternberg Rd. Customers called 911 after going into the store and finding no employee inside. Jessica Heeringa was supposed to be working but could not be located. From FOX 17, Family Wants Missing Muskegon Woman Home. Saturday, Muskegon police detectives showed up to Heeringa’s Muskegon home to ask loved ones more questions. Dyer said, “This is not normal at all, especially the fact that her purse and everything was left.” Heeringa also has a three year old son who isn`t quite aware of what’s going on or where his mother is. “Her son is everything to her. We just want her home, and he’s lost without her,” Dyer explained. “[Her fiancé] is not doing well at all. He`s taking this really hard,” Dyer said. “Your loved one`s gone. The mother to your son is gone and no answers,” she added. Jessica Heeringa is a 25-year-old female, 5’1 tall, approximately 110 lbs., with blonde shoulder-length hair. She has blue eyes and wears wire-rimmed glasses. She may be wearing a blue collared shirt that says “Sternberg Exxon”. UPDATE I: Norton Shores Police Department has reclassified the missing person investigation of gas station employee Jessica Heeringa as an abduction or kidnapping under Michigan law. Her purse and other belongings were found undisturbed, along with cash in her purse, according to police. The cash register was also left out and there was no money missing, police said. There was no struggle inside the store and it is apparent that “burglary or robbery was not the cause of this incident,” Shaw said during a press conference Sunday, April 28. Police are now searching for a silver mini van, possibly a Chrysler Towne and Country. 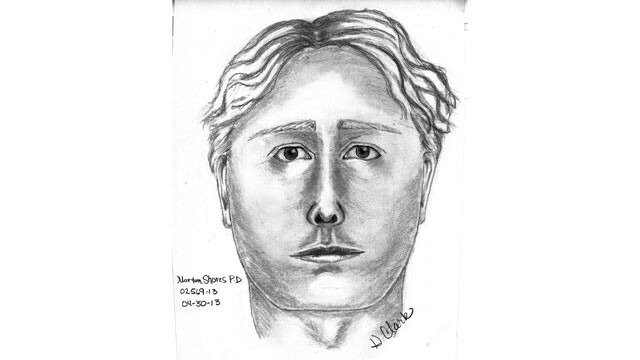 The driver of the van is described as a heavy white man between the ages of 30 and 40 with broad shoulders, light brown wavy hair parted in the middle and longer on top. He may have also been wearing a bright red or orange sweatshirt. UPDATE II: Mom Abducted From Late Shift Job. Heeringa’s purse and keys were left behind and the cleaning supplies she always took out at closing time were on the counter, her mother said. North Shores Police Chief Daniel Shaw said today that it appeared robbery was not a motive, and that the store’s cash drawer was left untouched. The gas station was not outfitted with surveillance cameras, so investigators are relying on tips to help them zero in on what happened during the 15 minute time frame Heeringa went missing. If anyone knows of Jessica Heeringa’s whereabouts or may have witnessed suspicious activity near the Exxon Mobil gas station is asked to contact Silent Observer at 231-72-CRIME (231-722-7463) or call 911.